Ed. note. This belongs to a series of posts on how external websites and services are integrating LinkedIn functionality. 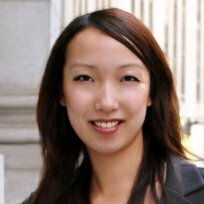 Here’s Clara Shih, bestselling author on social media and CEO of Hearsay Social, a social media marketing and compliance solution for financial services. This year, social media adoption by enterprise organizations is set to again grow exponentially. This is particularly important in the financial services segment, which is very much a relationship business. Yet up until now, there have been barriers to using social media effectively and safely. Our research shows 33% of financial professionals have a LinkedIn account, but only 11% say they use it for business with the primary concern being around compliance requirements. We heard these frustrations and built Hearsay Social from the ground up to provide a social media marketing and compliance solution for financial services. Content management: Give your employees and advisors timely, compliance-approved campaign and content suggestions through Hearsay Social to select and share with their local social network connections. They can pick and choose what works with their audience, and you don’t have to worry about someone accidentally saying the wrong thing. Analytics: Learn what works and what doesn’t with Hearsay Social’s in-depth analytics. You can even drill down by region, sub-region, or individual employee to identify trends over time and in response to specific types of content. Training. Hearsay Social specializes in addressing the unique challenges of deploying technology to a large number of employees and agents who are geographically distributed and have widely varying levels of social media familiarity. We provide complete training and support for both the corporate and local levels. 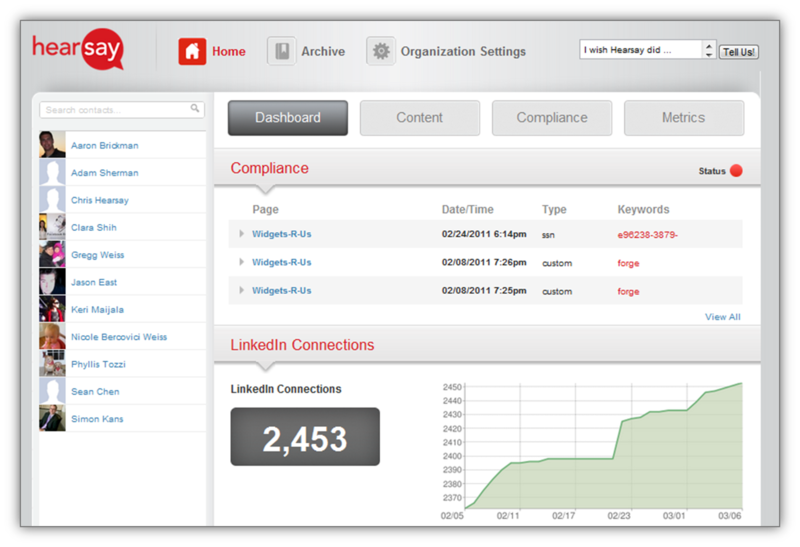 Hearsay is excited to team up with LinkedIn so that financial institutions can finally embrace social networking. I look forward to helping you and your employees become wildly successful on social media.